Easy to design; free templates online. Requires software and printer capable of mirror imaging. Create personalized store-bought-quality T-shirts quickly and easily with just a computer, printer and iron. Crack-free fabric sheets feature Color Shield™ protection, ensuring crisp, long-lasting designs that withstand multiple washings. Free software and templates available at www.avery.com/templates help you get started. 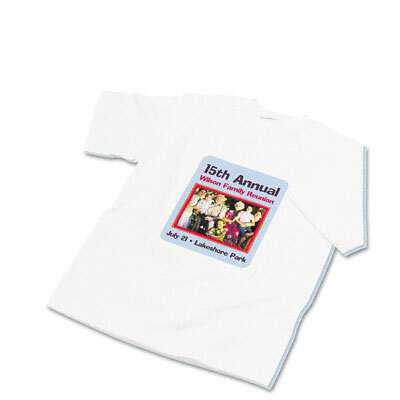 Process requires software and an inkjet printer capable of mirror imaging as well as light-colored 100% cotton or polyester/cotton blend shirts.